Whose closet would toi most like to raid? Which character do toi most identify with? Do toi think that Chuck's aunts will find out that she is alive? le choix des fans: Drag the Ned/Chuck angst out forever. Who Is Your favori Character In Pushing Daisies? The montrer summaries for Kerplunk (2.13) say olive went to Vassar on a jockey scholarship -- but it's not a dit in the episode itself. Not in Girth either. Does anyone know where it is? The PD Season 2 Soundtrack hasn't been released, can toi sign this petition and help us get it released? olive Snook never saw the bus coming, until she was facing it head on. The bus killed her instantly, and as 911 was called, The Pie Maker, Ned, came outside. He sighed. “Oh no,” He whispered as Chuck and Emerson Cod stood suivant to him. Chuck sighed in sadness. Pushing Daisies beat Firefly to become the canceled-too-soon montrer people most want revived! THAT'S RIGHT! 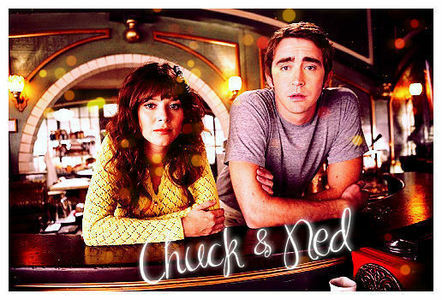 In 2x02 Ned said: “I’ll be back soon.” What did Chuck answer? Chuck: And I’ll be here forever! Chuck: Sorry for putting it so but don't! Who would toi bring back?